Vivid® Egg Free Salad Sauce Powder is developed to make egg-free salad sauce based on the modern production, storage and cost. 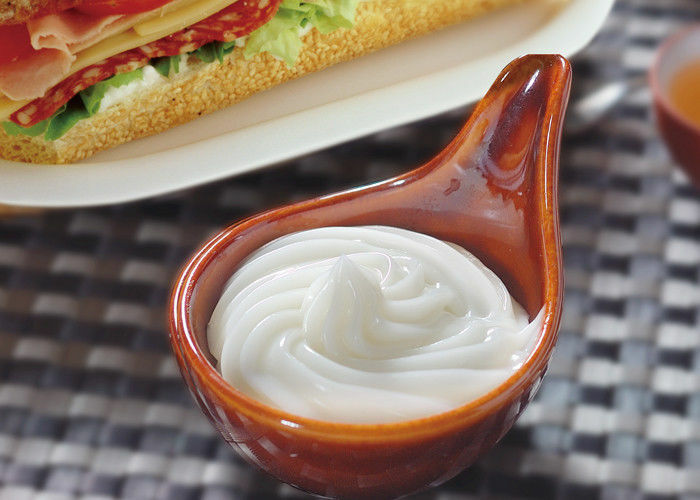 The salad sauce made from this product is smooth in taste and milky in appearance. Furthermore, there is less condensate oil and safer in hygiene than traditional salad sauce. The major ingredients are modified starch, soy bean protein, guar gum, and xanthan gum. It is easy to handle. You only need to add water, sugar, salad oil and white vinegar and whip based on the direction. This product could be used in making fruit salad, vegetable salad and baking bread such as salad bread, hot dog bread, bacon bread, mini Pizza and etc. It could also be used in decoration of bread and cakes. Easy to handle. Safer in hygiene than traditional salad sauce. No condensate oil. Taste smooth. Natural milky color. The taste, softness and hardness is flexible.